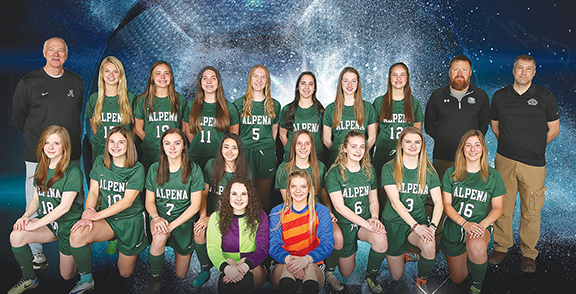 Courtesy Photo/CM Photography The 2019 Alpena High girls soccer team is from left to right: kneeling in front: Alex Villarreal and Edie Zann; sitting in middle: Josalyn Bailey, Addi Marceau, Macy Dickinson, Alexis Pilarski, Taylor Tolsdorf, Kennedy Kaiser, Mollie Girard and Emma Kelly; back row: head coach Tim Storch, Sarah Campbell, Anna Young, Cassidy Beach, Hannah Burger, Mikayla Smith, Kami Schultz, Jenna Leeck and assistant coach Gregg Supiran and assistant coach Chris Burger. The Wildcats are currently 2-1 on the season and are hoping their experience will lead to more consistent play as they look to improve on last season’s record. Looking at the Alpena High girls soccer team’s roster, the Wildcats certainly have plenty of potential for a good season. Whether the Wildcats can put it all together on both ends of the field and do it consistently enough will determine just how far they can go this season. Alpena went 5-12-1 last season and is looking to improve on that mark. Through two games this season, the Wildcats are 1-1 and have played strong possession soccer, but need to improve defensively. From a personnel standpoint, Storch called this year’s team the strongest he’s had for girls soccer since he took over the program and he’ll have plenty of experience to work with. Alpena returns senior midfielder Mollie Girard and senior defender Taylor Tolsdorf, both of whom are four-year starters. The Wildcats also return senior midfielder Emma Kelley after she missed all of last season with an ACL injury. Seniors Alexis Pilarski and Alex Villarreal return as well. Pilarski will be another mainstay in the midfield and Villarreal will share goal keeping duties with junior Edie Zann. Along with Girard, juniors Anna Young, Sarah Campbell and Kennedy Kaiser will be looked to for scoring. Young led Alpena in scoring last season and has seven points (three goals, four assists) in two games so far. Kaiser has had a strong start as well with three goals and an assist. Alpena does have a great deal of experience returning, but Storch is also hopeful that Alpena’s younger players will develop as well. 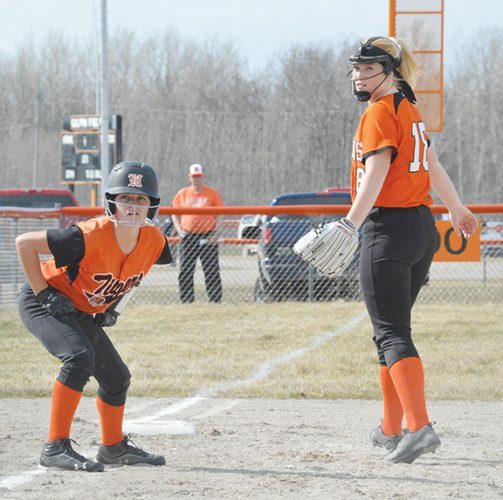 That includes freshmen Jenna Leeck and Kami Schultz, who have already impressed with their work ethic and conditioning. Storch is also looking for strong play from junior defender Cassidy Beach, junior midfielders Hannah Burger and Josalyn Bailey and sophomore defender Addison Marceau. Storch isn’t making bold predictions, but with the talent Alpena has, he’s hopeful his team can compete well and maybe surprise a few teams. 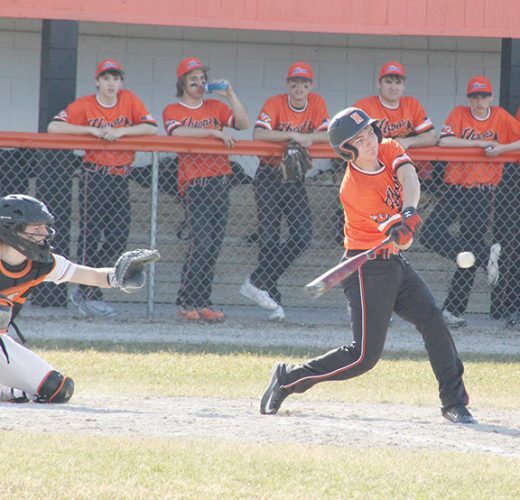 Last year in Big North play, the Wildcats played upper echelon teams like Gaylord and Cadillac close and they’re hoping to take more steps forward from a competitive standpoint. 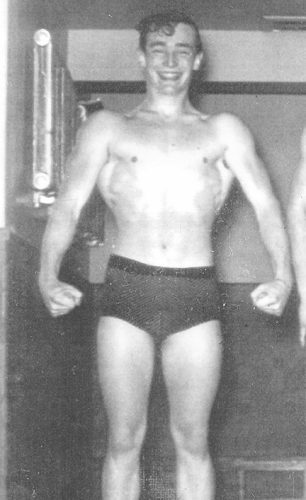 “It’s a matter of confidence as well as performance,” Storch said.